Do you spend days and nights with your favorite reads? Or, you cannot finish even the slimmest volume in weeks? Or, perhaps you love listening to stories rather than reading them? Different people have different styles when it comes to reading. And with the different types of reads available, it isn’t much difficult to lay your hands on the right book. But before you start your search for what to read next, let’s take a look at the styles people have when it comes to reading. The Lover. You have rows of books on the shelves, stacks of them on every available surface, and some lying open on your bed too! You love to visit the bookstore, the library, and any place that have your favorite friends – books. You love the feel of crisp, fresh pages of the new ones, and the smell of the smudged pages of the hand-me-downs, and every other read you can lay your hands on. And you don’t just hoard them, you read and re-read them too. What do you read next? Anything you can find; you sure are lucky! The Critic. You read books, not because you love them, but because you love to criticize them. For you, no art is perfect, and so every volume, and every author, must have one or more loopholes that ordinary readers cannot identify. You especially love to tear down to pieces the hyped books that come to the market, to prove that they were not really worthy of the hype and the wait. But you do it only in front of people who have that mental caliber to match your intellect. What do you read next? Well, take up any new, and much-hyped, volume, to censure. The Expert. You read a lot, but that doesn’t mean it’s for the love of books. It’s for the love of discoursing on your reads that inspires you to do it. You aren’t the cynic who censures, but the connoisseur who discusses, over and over again. It can be great conversation with like-minded individuals but do keep it within tolerable limit. Otherwise, you are just perceived as a show-off who talks a lot about their love for books but doesn’t really do anything to justify all that talk. The Exhibitionist. You never read books. You just have a display case, or maybe even a library if you can afford it, full of them because they add to the pleasantness of your interior décor. And they show you off as an aficionado. Don’t take it to heart; some of you do have the intention to read up at least a few of the books you bought, but never find the opportunity to do it. The solution is easy; just set aside an hour for reading every day. You’ll be surprised at how great books are! What do you read first? Any slim volume of short stories or novellas is best to begin with. The Nonconformist. Have you read ‘The Potter’s Eye: Art and Tradition in North Carolina Pottery’ by Mark Hewitt? Or, ‘Paris 1919: Six Months That Changed the World’ by Margaret MacMillan, Richard Holbrooke (Foreword)? Most wouldn’t even have heard of them! And these are precisely what this category of book readers love, titles otherwise unknown to the rest of the world. Their interest is diverse, and they take reading seriously. Well, it’s not a bad habit; but you sure are missing on a lot of other stuff too. 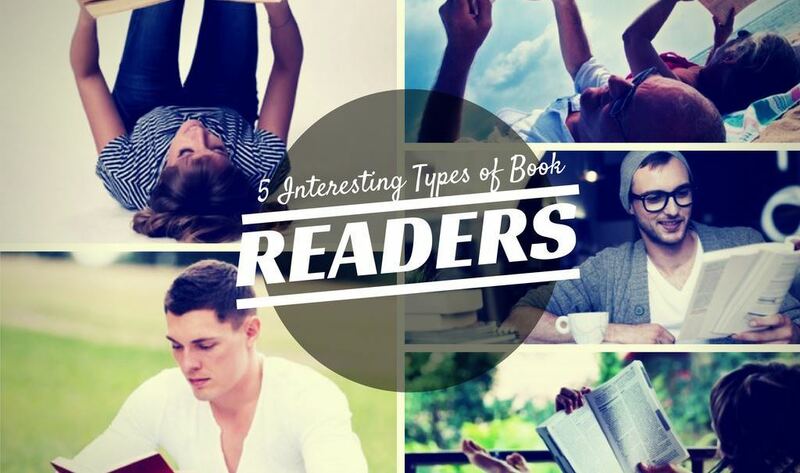 What interesting type of book reader are you? Wade, enjoyed seeing the different type of readers listed here. Which would you say is the most likely to be an audio book type? Guess I fall under the expert – interesting! Never thought of it like this. Hey Wade, I think you’ve scratched the surface of book readers. I read a lot of blogs, articles and emails throughout the day so I prefer audio books. Before delving into audio I was a wannabe book lover. After reading all day I didn’t have it in me to do it for pleasure. Audio = problem solved! Great article Wade… I buy books by the boat load. I love having them around. I wish I could read ALL of them. For the ones that REALLY must be read, I usually buy the book and the Audio…then read/dog-ear/highlight while I’m listening. Thanks for your insight brother! ROCK on!! That’s awesome! I’m totally an exhibitionist. I should work in that. Great read! I love it-totally the book lover! Switched to an e-reader for a while, but had to go back to ‘real’ books again. Great post! We have all heard that leaders are readers. My first mentor when I left the Navy in 1995 made me read 10 pages every day in a book that would help me grow and develop. Finding good books to read (audible is my preferred method now) is always a challenge. 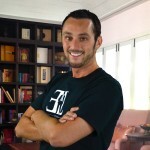 I read because I am on a journey and would like to be seen as the expert! Definitely would say I am a combination of the “Lover” and “Expert”. I never thought about the type of reader I am till this article. Thanks Wade!